Don’t miss it! 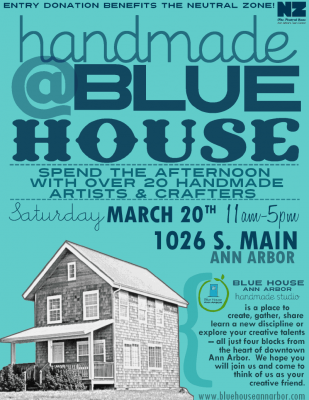 The new all-things-crafty studio space, Blue House Ann Arbor, is holding its very first craft fair this weekend: Handmade @ Blue House. From 11 a.m. to 5 p.m. this Saturday, March 20, more than 20 vendors will set up shop in this unique space. And your entry fee at the door will be donated to Ann Arbor’s Neutral Zone, too. Make sure to check it out – you’ll be sure to see some of your favorite area crafters there! Check out the Facebook event page for a complete listing of vendors. OMG!!!! 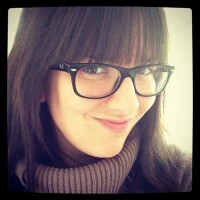 My daughter, Sherri Green Carroll, is an amazing artist!!! Hope to be there.